Please update the latest Page Scanner for better scanning experience. 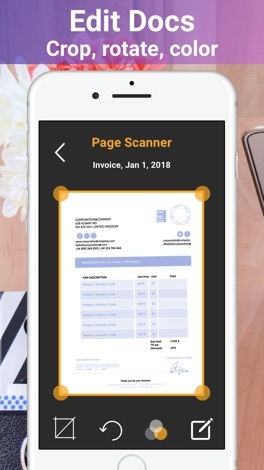 Page Scanner turns your iPhone/iPad into a portable scanner. 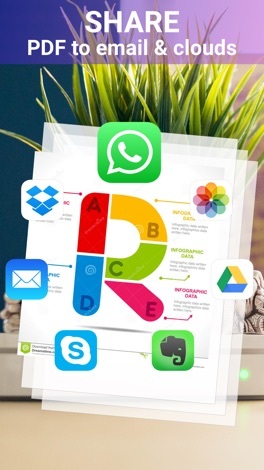 Create PDF document - Scan file, add signature or stamp & Share anywhere! * Add your e-signature onto each page and share it in PDF or JPEG format. ◉ Has both signature & stamp features. ◉ E-sign any document by adding your signature to scans within the app. ◉ Add suitable stamps on your documents. 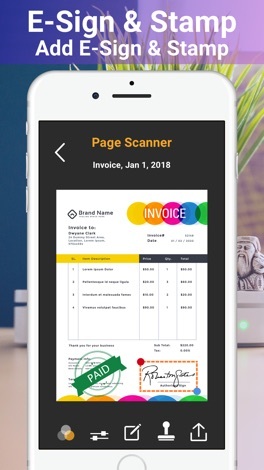 ◉ Re-size, rename & rotate pages by Biz Scanner. ◉ Change effect by adding grayscale, B&W or color. 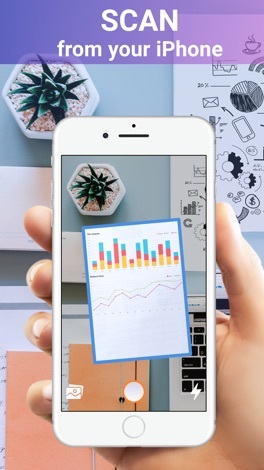 ◉ Share and upload scanned documents to cloud services like Dropbox, Evernote, Yandex Disk, Box, Google Drive or OneDrive. Please note: Page Scanner contains 1 Week, 1 Month, 3 Months, 6 Months & 1 year Pro Subscription. We will constantly keep the Page Scanner up to date for our users by adding new features & fixing bugs, so please write your review & rate us, it will help us to improve the Page Scanner. iBeacon mobile app allows your iPhone to receive signals coming from the beacons, which uses bluetooth low-energy (BLE) wireless technology that provide location-based information service and real time updates. The App also lets you find nearby beacons with real time distance estimates and displays all identifiers of each one discovered. Mahjong World 3 add new model: Gain as high score in 1 minute as possible. use bonus Mahjong! Or: Your goal is to match Mahjong on the board to remove them. Mahjong can be removed only if it isn't blocked by other Mahjong from its right, Left or above (blocked Mahjong will be greyed out). The quicker you match,the higher score you get! Here we go! This quote calculator is for Agents of American Benefit Life Insurance Company. Specific to the Preneed Division. The retail world is craving for innovation – retailers seek efficient, cost-saving checkout systems while shoppers seek fast & easy shopping experiences. Supersmart enables consumers to instantly checkout their fully loaded cart while skipping the tedious queue area, resulting in fast and convenient purchasing cycle.